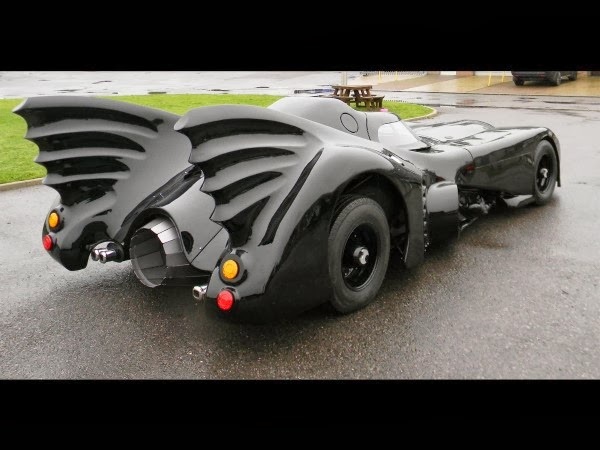 Holy authentic replica, Batman. 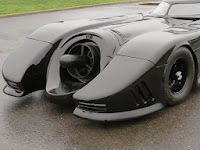 This Batmobile looks just like the real thing! 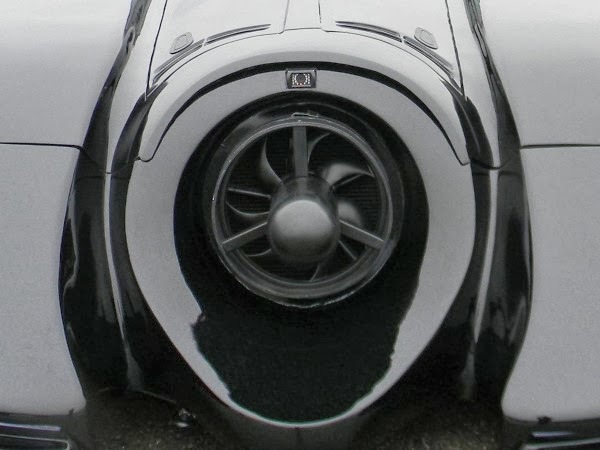 It's just one of a number of cars going under the hammer at the forthcoming Historics at Brooklands auction at Mercedes-Benz World, Weybridge in the UK. 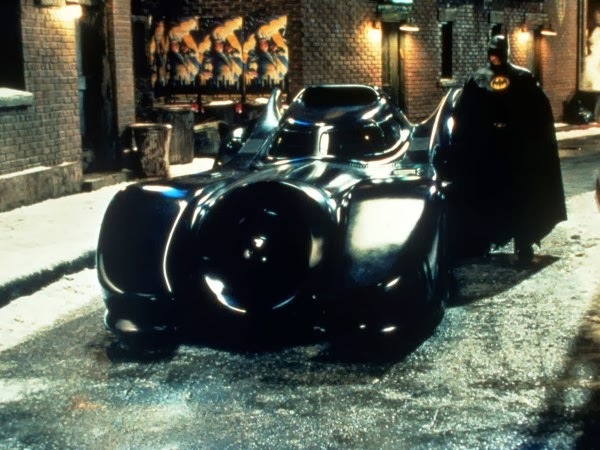 The Batmobile replica is road-legal, so it's free to cruise around the streets of Gotham City, Grimsby or Gravesend, with any would-be Batman at the wheel. Although we do wonder where the number plates should live. Probably not something that concerned Batman. Or if it did, he would have simply let Robin deal with it. 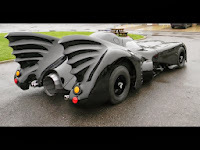 The Batmobile replica is said to be able to achieve the 0-60mph (0-100kph) time in just five seconds, although with visibility resembling that of a jet fighter, you'd need Batman-levels of bravery to do that. The Batmobile replica features a fully operational flame-thrower at the rear and a smoke release mechanism. 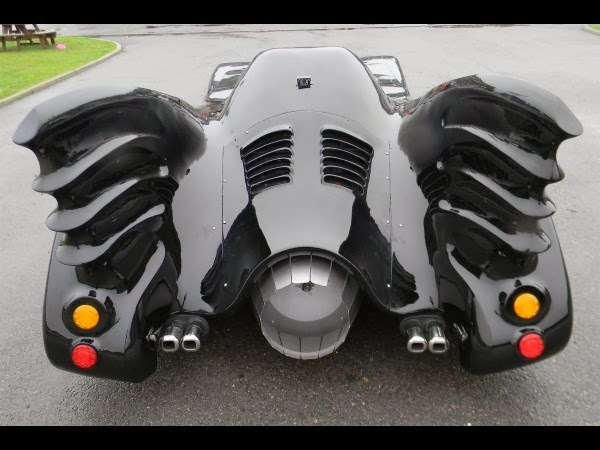 Pretty cool optional extras for a road-legal Batmobile. 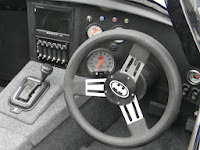 It also features hydraulic suspension, enabling the car to be lifted a full nine inches off the ground. Real superhero gadget stuff. 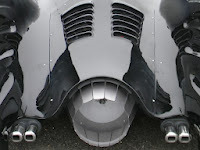 But that's nothing compared to the real thing, which featured two spherical bombs and a pair of Browning machine guns. You'll also remember the side-mounted grappling hooks, which gave the Batmobile incredibly sharp cornering abilities. 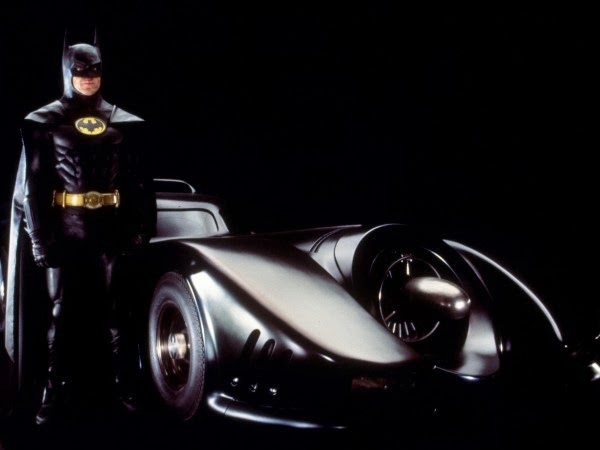 Earlier this year, the original 1969 Batmobile sold for £2.9 million at auction. 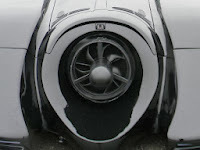 It was based on a 1955 Lincoln Futura concept car, which itself was a one-off that cost the equivalent of $2 million to build. Seriously. That’s what they said. 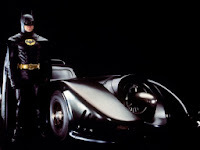 The Batmobile is expected to fetch around £90,000 ($145,000). Riddle me this - is that a fair estimate for a Batmobile replica? Holy price tag, Batman, we'll find out later this month.